If I asked you the best ways to engage with local communities in London, what would you say? Leaflet drops, newsletters, knocking on doors? There is another way that creates long term relationships and trust. 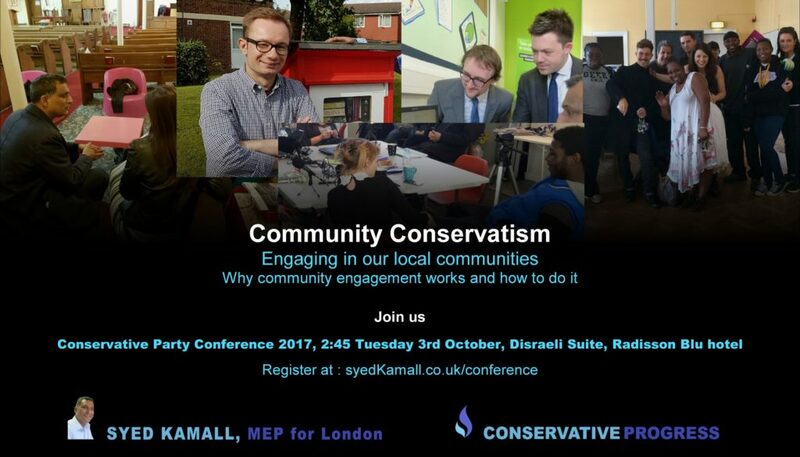 It’s “Community Conservatism” and at the party conference this year, I would like to invite you to join me to find out how it works, what we can all do and how we can transform local communities in London.